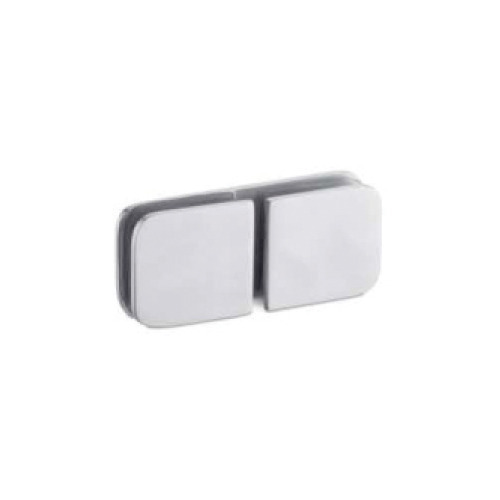 We are the foremost manufacturer, trader, and supplier of Glass To Glass Connector 180. Fitting that is broadly used to fix on the glass doors. The fittings we provide to our valuable clients are available with us in varied specifications according to their variegated requirements. We are the leading Manufacturer, Exporter and Supplier of Hydraulic Patch, Floor Spring, Double Cylinder Floor Spring, Patch Fitting, Glass Connector and Glass Clamp. Precisely designed, this range is widely admired by our clients..Inaugurated in the year 2000, at Rajkot (Gujarat, India), we, “Jonson Engineers”, are well renowned as the prominent manufacturer, exporter and supplier of Hydraulic Patch, Floor Spring, Double Cylinder Floor Spring, Patch Fitting and Glass Connector. These products are designed and developed using high grade raw material and contemporary technology as per the international quality standards. The raw material used in the production process of this range is procured from the reliable sources of the industry. These vendors are selected by our team after extensive market research. Our quality controllers inspect our finished range on several parameters in order to avoid any kind of manufacturing defects before making its delivery to clients. This range is well-known in the market due to its quality finish, corrosion resistance, sturdiness and enhanced durability. Apart from this, these products are provided in premium quality packing material to keep them safe from damages during transportation.